The main attraction to cloud based storage is the fact that users have the ability to access their information from wherever they maybe all over the globe. A consideration to this excellent service however is the degree to how safe using cloud computing actually is. The latest development in securing the cloud storage feature is the introduction of biometric recognition which is being implemented by BioID. This will be specific to Intel’s SSO and has been set out for users just earlier this month. Biometric scans will not require for you to always have access to a finger print reader or any other scanner for that matter in fact it will run of any camera which may be available to you such as a webcam or the webcams integrated in most laptops which are available to day. Recently the changes in SaaS applications have been giving several firms difficulties in regard to correctly taking care of a safe Cloud experience. The large numbers of identity stores, security approaches and access policies have made securing the situation that much more difficult. Intel has existed longer than anyone of the competition in this field and hence that is why BioID has taken Intel to be the first client it will be providing this solution to. 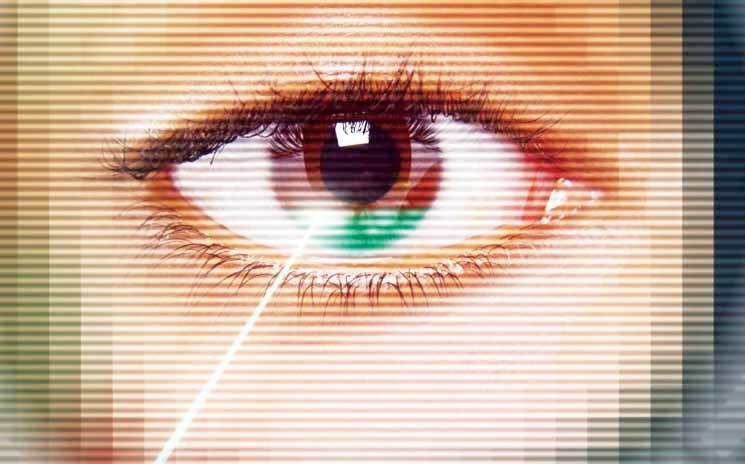 This Biometric system will differ from others like it in the fact that it uses the live detection technology, this means that the system will be fool proof to photo’s or images being used as a scan to access data. The users will have to use a camera phone or any other source to get their faces detected in real time to gain access. On paper the entire approach appears to be a promising one as users now no longer have to be concerned about things such as keylogger being active an a foreign system which they may be using to access their data from the Cloud. Other harmful software such as spyware which takes note of keystrokes or take any other strategy to figure out the users Cloud credentials will all be of no use as cloud storage will no longer require users to access their data through such a channel. Intel SSO will be the new gateway through which users have to make their way to get their data stored on the cloud and it sounds to be a very secure, simple and easy to use approach. This is a great step forward when speaking of securing certain data, though another problem lies in the fact that the data itself is stored on a server somewhere else and has to be accessed online. It is understood that software such as brute force attacks or key loggers will be of no use since there is no key or code to uncover or decrypt however as one is inside their account on cloud and viewing their information which is remotely stored they are using an internet connection. This means that if someone was to attempt to use spyware which would allow the browsers history to be stored; they have in a way gained access. More so software such as Firesheep are designed to intercept data packets, once again doing the same job of providing someone with the valuable data with out having to break in themselves. It may not grant them access to all the data of the user on the cloud though the data which was visited during one spell will be able to be viewed as the pages themselves are what would have been stored or transmitted. In this respect hackers and others with the same mind set can gain access to information you may have stored and have accessed.